Congratulations Paul Reilly, Matt Pistay & Austin Jaessing! Paul Reilly from Cedar Lake, Wisconsin dominated this year’s C Scow National Championship held in Okoboji, Iowa June 16-18, 2017 . Reilly with crew Matt Pistay and Austin Jaessing showed superior speed and tactics through the six race series. 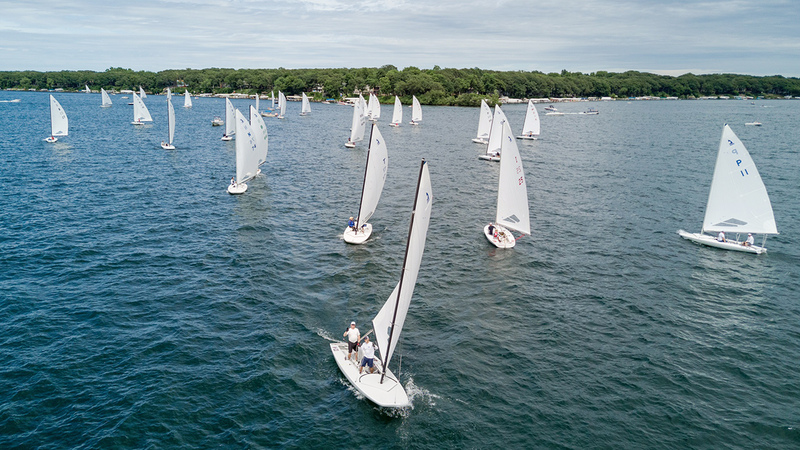 Okoboji Yacht Club hosted the fleet and put on quite a show with 50 boats in attendance. Paul Reilly is already a two-time Inland Champion in the Melges C Scow. Winning the National Championship will now allow him to fly the prestigious Gold C on this mainsail. Congratulations Paul and Team A-14! Learn more about the fast North C Scow sails.